I like to make music that first and foremost I enjoy. Not something I think "sells" in the current environment. But above all, I truly like making music folks can dance too. This extends to my DJ philospohy as well. That's what we should be striving for. Kingsley Flowz is truly a global child. He grew up in Vienna, Austria. Parents from Cameroon and now resides in New York City. These influences have all played a major factor in both his sound and style. Kingsley started to DJ back as a teenager in Europe before coming to the US for college. After college, he moved to Philadelphia and slowly but steadily built a solid following through his intricate sets and unique sounds. Kingsley's goal is to take people on a journey with each set. Letting them feel like they were part of the experience. Naturally the next step was to get involved in the production side of things. Kingsley started distributing his music to a bunch of the DJ's in the Philadelphia, New York and D.C. scene. 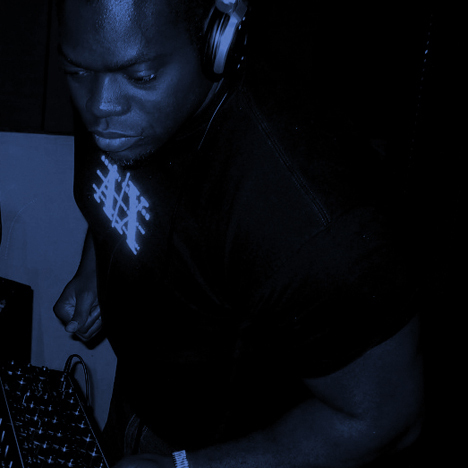 After doing the white label thing for a few years, Kingsley decided to move to New York City in 2002 in order to focus on establishing dsev music. Now back in D.C. with 25 releases later plus a bunch of licensed tracks (most recently 3 on the new Diz CD from House With love on Loveslap) Kingsley continues to push his brand and taste of house to the masses. A very busy man these days, Kingsley still finds solid time to DJ and perform nationwide at night while doing the business during the day.